Tennis set consisting of 2 rackets, to play all summer long! 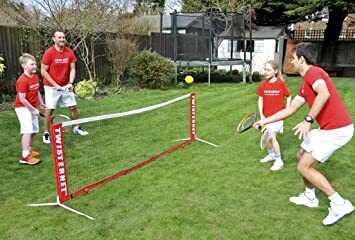 Semi-professional rackets to play and have fun anywhere from the beach to the tennis court, from the lawn to the park. Ideal for starting your children to love the sport: healthy outdoor fun. Semi-professional rackets to play tennis. Carbon shell, 30-35 lb thread, faux leather handle, length 54cm and weight only 210gr each.